From determining your credit worthiness to assigning interest rates for any loan you take out, your credit score is one very important number. Of course we all know that paying our bills on-time is one way to make sure your score stays high, but what about other, proven ways to raise your score? If you’re looking to increase your credit score, read on for five easy steps you can take today to be on your way to a higher score tomorrow. Did you know that, in the past, over 80% of credit reports have at least one error on them? While measures have been implemented to drastically reduce the amount of errors listed on reports now, it’s still wise to pull your report at least once a year to review the information that’s listed. 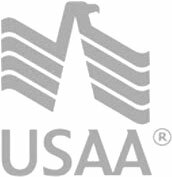 Remember, even one mis-reported account can have a serious impact on your ability to qualify for the best rates. Pull your report and immediately file a dispute if you should find any errors. A credit history is built on existing credit accounts. Therefore, if you don’t have any credit accounts, your credit score will be low or non-existent. If you want to be able to purchase a home using a mortgage or a car using an auto loan, you need to build your credit to prove your ability to pay back what you owe on-time, every time. Establishing credit is an easy task—you can put utilities in your name or open a credit card account (that you pay off monthly!) in your name. Smart, responsible credit use now will help you build a strong credit history that will afford you greater opportunities in the future. If you do have established credit and have open accounts, do your best to keep your overall credit utilization under 50% at all times. Basically, your overall credit utilization is the total amount of debt you’re carrying divided by the total amount of available credit you have. This includes credit cards, student loans, home equity lines of credit, etc. Add up everything and if your utilization is over 50%, work harder to pay off your debts ASAP. While your total credit utilization for all accounts should be less than 50%, each individual credit account should have a utilization rate of less than 10%. In terms of simple math, if you have a $3,000 limit on your card, do your best to keep the maximum balance on that card to less than $300. If you’re a smart consumer and can effectively manage the temptation of having available credit without launching into a spending spree, you might want to increase your credit lines. This is a helpful strategy if you’re in need of a quick bump before you apply for a major loan such as a mortgage or car loan. Remember that you’ll want to do this at least a month out from when you plan to submit your loan application to ensure you’re receiving the best benefits from a raise in your credit score. What tricks have you used to increase your credit score?